HomeEducationCommonly Asked Questions How Do You Best Establish the Value of a Sapphire? Determining the value of a sapphire considers treatments, color, size, and clarity, but most importantly, the attributes that make the stone appeal to one person over another. A cushion cut Nigerian blue sapphire as it was found as crystal rough and then cut and faceted. 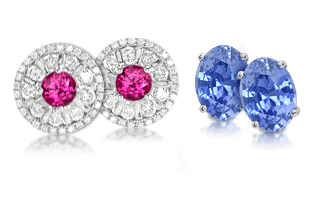 Determining the value of a sapphire is a fairly nuanced process that considers many aspects of the sapphires composition. 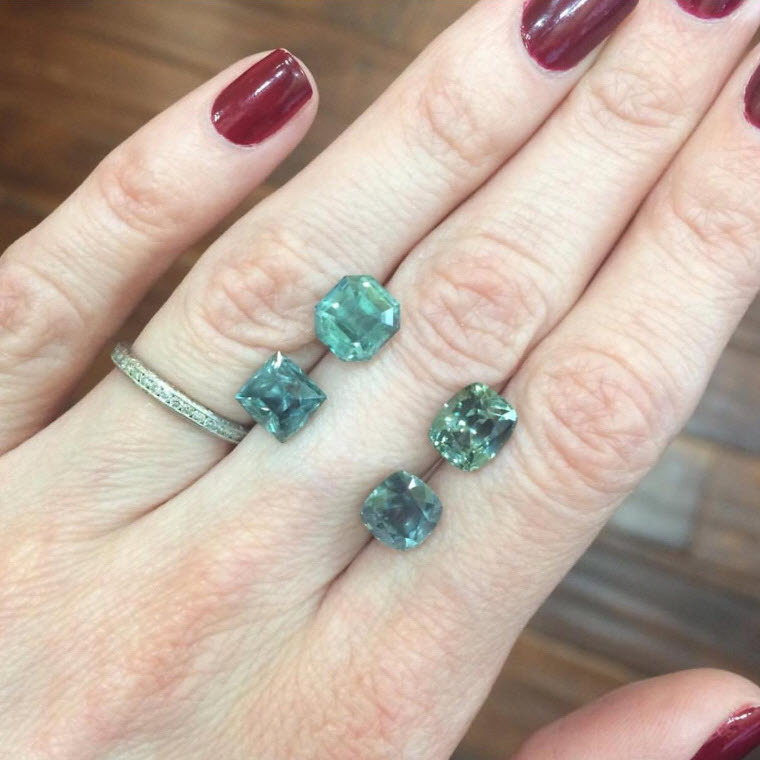 As we break down the process of establishing value, highlighting those that are the most important within the industry, it is important to remember that there is a monetary value with how a sapphire would rate in the market, but there is also an emotional value that can only be measured by the wearer. In the end, loving the sapphire you have gives it immense value that a market value can never replace. First, natural, untreated sapphires are in a class all their own. Either a sapphire is treated or it is not. This is the first consideration in determining value. 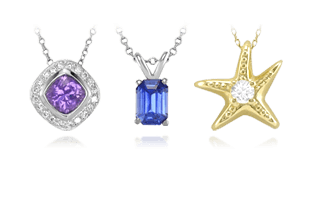 There are so many types of treatments and alterations of sapphires that it is almost impossible to list them all. Therefore it is now a basic matter of either the sapphire being 100% untreated or not. These Nigerian sapphires came from different mines and represent a variety of colors. Prices for treated sapphires fluctuate and are not very consistent so it is impossible to put reliable value on them There are extraordinary differences between natural , untreated sapphires and those that have been treated in one or multiple ways. 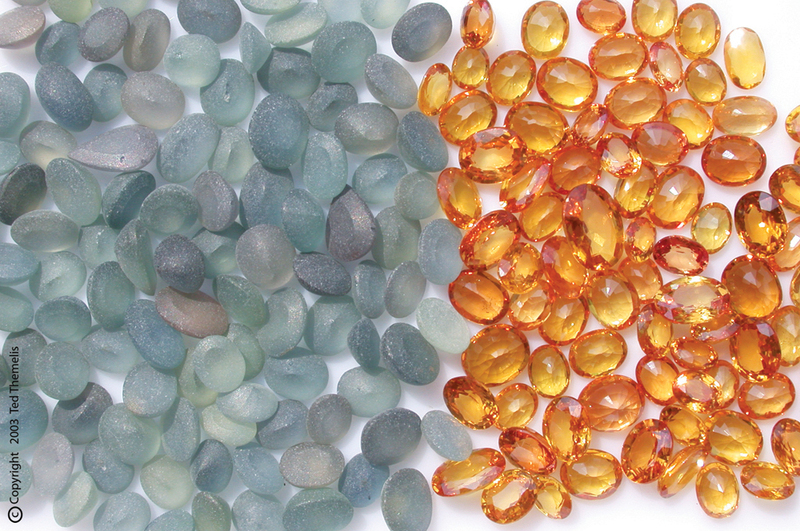 These differences immediately detract from the value and lifespan of the gemstone. 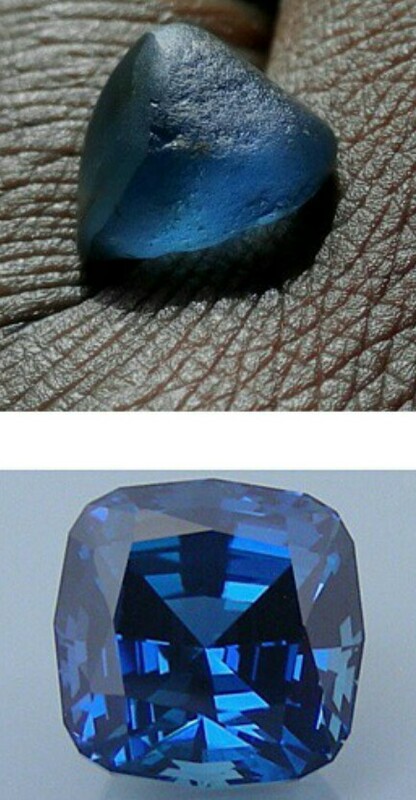 The second consideration in evaluating a sapphire is the sheer beauty of color. In most cases, beauty is agreeable from one person to the next. Something stunningly attractive will always hold value and be in demand. A slight preference in color tone is normal from one person to the next. Normally these personal taste preferences should not be seen as better or worse. It is possible to lean towards a blue sapphire that is slightly darker in color or lighter in color depending on individual appeal. 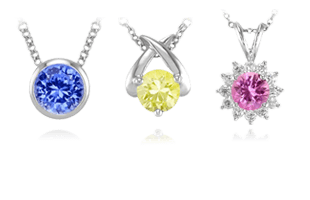 When evaluating color, the most important features are that the sapphire has uniform color and lovely light reflection. 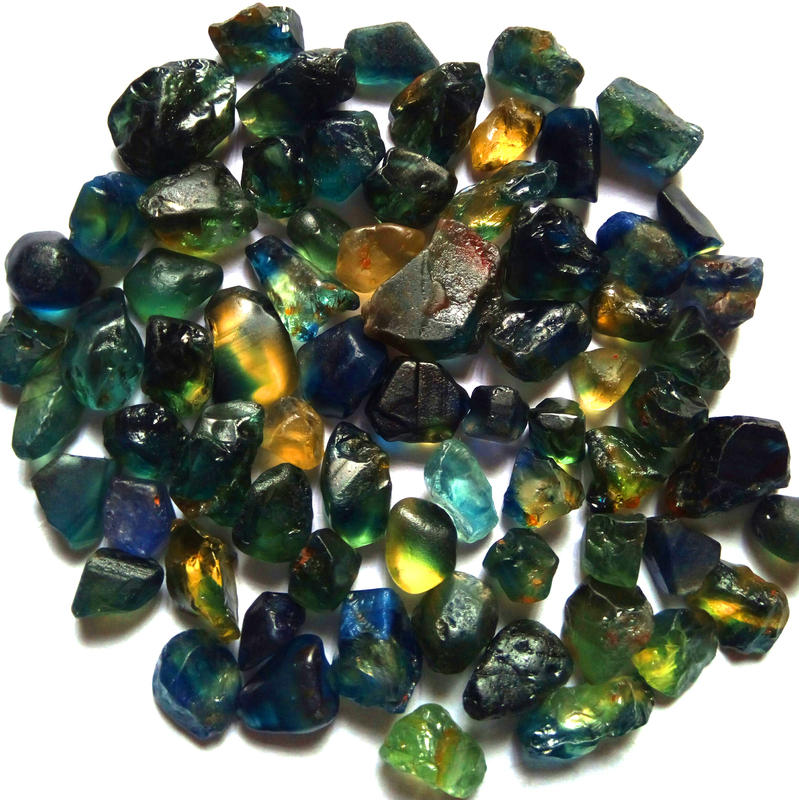 A selection of bluish-green and greenish-blue sapphires in different sizes, cuts, and shapes. Loose sapphires are priced by the quality of the stone multiplied by the carat (ct.) weight. Just as you would purchase fine fruit at a higher price per pound over lower quality fruit, sapphires are priced the same. The finer the material the more it will cost per carat. As a person becomes more and more familiar with quality attributes of sapphires, they develop an accurate “price per ct” trading range of the material. A seasoned shopper of apples in a grocery store can tell you the high and low end range of apples by the pound, as can a seasoned shopper and buyer in sapphires. Small light blue sapphires (approx. 1ct) can be as little as a few hundred per ct, while a 1ct exceptionally fine blue sapphire can be more then $2000 per ct. Ranges for larger stones have a comparable price spread, so there is a very large price range for similar sized stones with very different color, clarity and cutting properties. 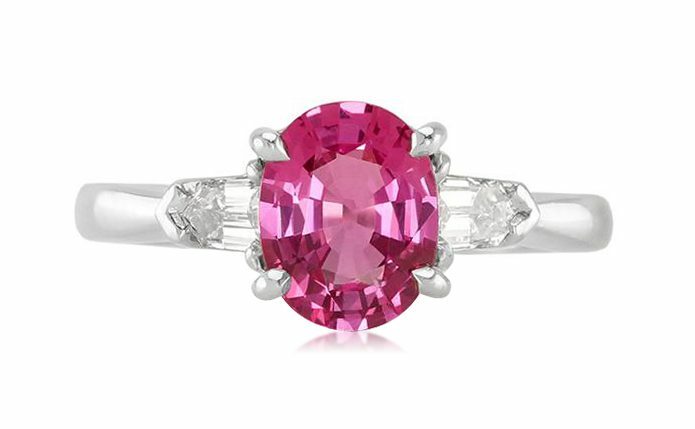 An untreated pink sapphire from Madagascar with beautiful clarity. Also, it is important to consider how rare truly beautiful sapphires are, especially in over 1ct sizes. 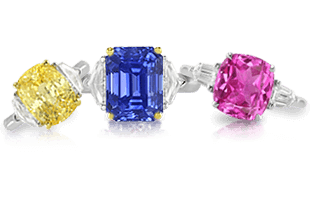 The value of a gemstone will greatly increase as the carat size increases because it simply means rarity is being increased as well. Sapphires are expected to have inclusions due to the process of their formation and crystal structure . The most valuable clarity rating for a sapphire is “eye-clean,” meaning the sapphire will appear flawless to the naked eye. Sapphires with extremely high clarity are very rare, and thereby very valuable. Generally, it is understood that inclusions make a stone less valuable. In the case of sapphires, the presence of inclusions can actually increase the value of the stone if it very positively affects the color and doesn’t inhibit the transparency. In a special note on considering origin, our opinion after decades of experience working with gem laboratories, is that sapphire ‘origin’ is not a reliable factor worth paying for in sapphires. We recommend grading a sapphire based on its inherent natural beauty, putting little value on origin. 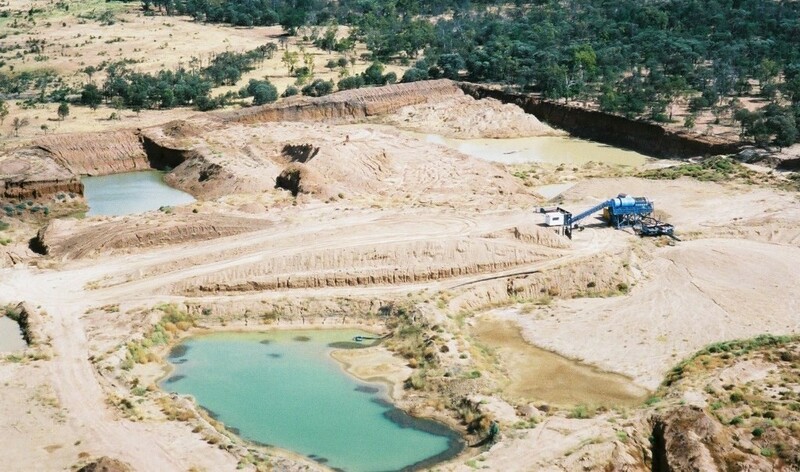 An aerial view of an Australian mining site. Our experience using the best gem laboratories in the world for origin certification has resulted in an approximate 50% margin of error. Reasons for error are simple; sapphires from most prominent locations all have characteristics internally that cross over with each other from one “origin” to the next. Conclusion: Origin is not a reliable science. Paying a premium for one origin or another is often proven an unwarranted expense. We state the origin of our sapphires based on where we purchase the material, but it is not a guarantee that the stone is in fact from that location. We have talked a lot about sapphire treatments, and next we will review the main types of treatments in Are All Sapphires Treated? How Do You Best Establish the Value of a Sapphire? Additional Sapphire Information Commonly Asked Questions Are All Sapphires Treated?